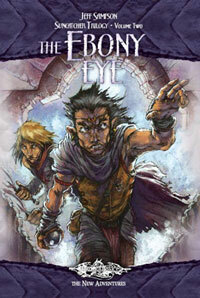 Sindri from the New Adventures continues his story. Everyone knows kender can’t do magic. 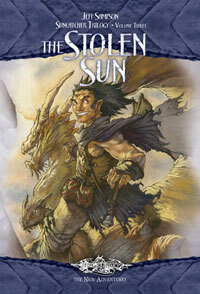 But Sindri Suncatcher--the greatest kender wizard in the world--can. Back at Cairngorn Keep, the black-robed wizard Maddoc has made Sindri his apprentice. But a mysterious stranger interrupts Sindri’s training, and soon Sindri finds himself chased by strange monsters and receiving cryptic messages. Will these extraordinary events lead to Sindri’s destiny–or his doom? Sindri Suncatcher's friends are not who they seem. Maddoc has lied to Sindri one too many times. And the renegade hunter who once vowed to imprison Sindri now shows himself as a true friend. As Sindri and his friends break into a mechanical maze guarded by a frightening gorgon, the kender apprentice must tackle his final lesson: how to trust. Everyone knows kender can't do magic. 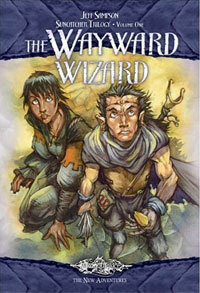 But Sindri Suncatcher -- the greatest kender wizard in the world -- can. Sindri has defeated the evil wizard Anica and has one final Temple of the Sun to locate on his quest to discover the source of his magical power. But the conflict is far from over. Old foes endanger Sindri's home village in Kendermore, while old friends add confusion to an already frenzied situation. And in the midst of all the chaos, Sindri must make the hardest choice of his life.